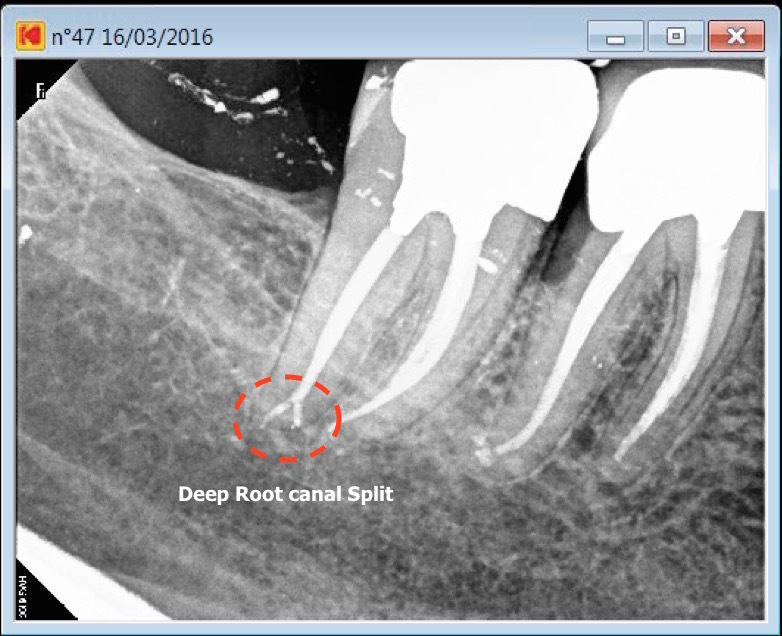 Canal curvatures are a challenge to preparation and can be the origin of many technical complications leading to failure of treatment. 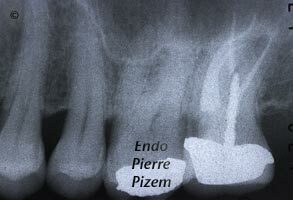 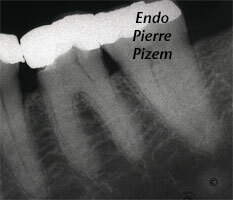 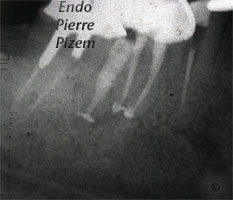 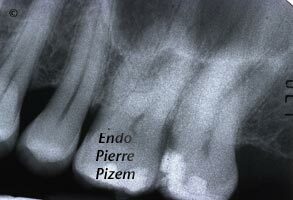 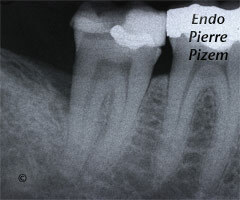 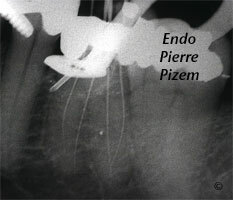 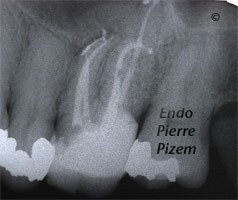 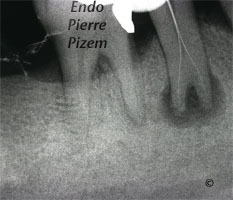 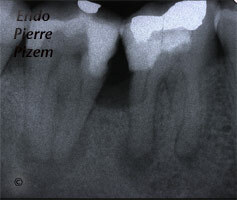 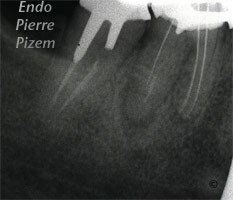 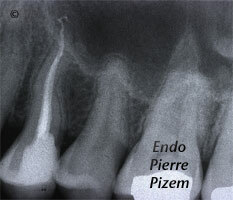 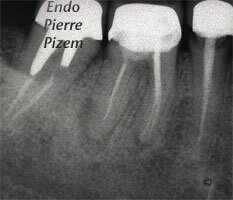 Canals that curve in the mesio-distal direction are usually readily detected in radiographic dental films. 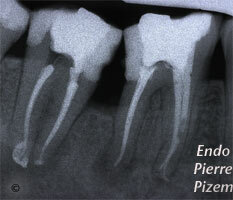 However, as it is the case here, many canals curve also in the bucco lingual direction. 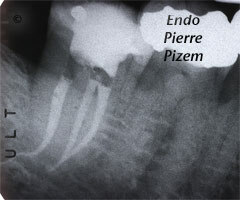 The bucco lingual aspect of this sharp curvature has been displayed using a mesio distal angulation of our X ray cone beam. 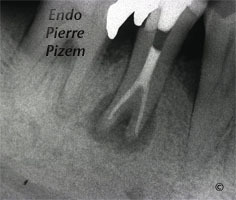 Patient is having an AAA with a necrotic pulp, an extensive deciduous restoration and a huge tooh decay on distal aspect of this first maxillary molar (Some of us might think: “you don’t have to worry it is dead”). 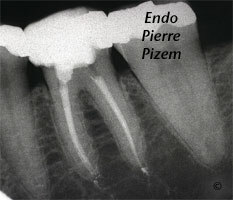 Dystrophic calcifications are obliterating the root canal system and we can expect to strive for a second mesiovestibular too. 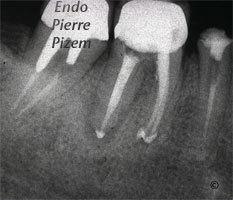 An extreme curvature is also present in distovestibular root canal. 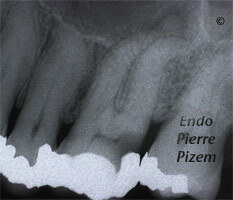 Prior to the initiation of treatment, an estimate should be made as to the degree of curvature of the canal to be treated. 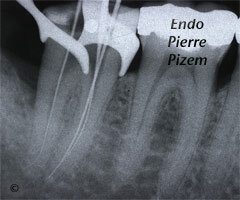 For making this determination merely view the curved canal as having two segments, one extending from the floor of the chamber down the long axis of much of the coronal two thirds of the root and the second from the apex of the root extending back to the occlusal through the apical third of the root. 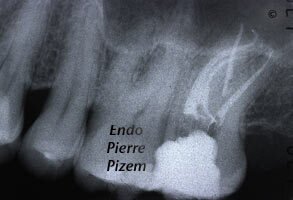 These two lines will intersect and form four angles. 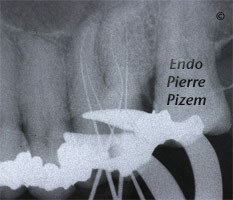 The interior angle is the estimate of the degree of the canal curvature. 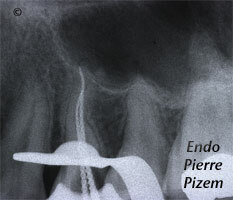 In this specific case, distovestibular root degree of curvature has an estimated 120 degree. 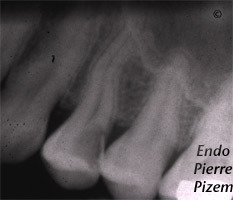 Such an estimate is of mesiodistal curvature only and does not take into consideration any buccolingual curvature. 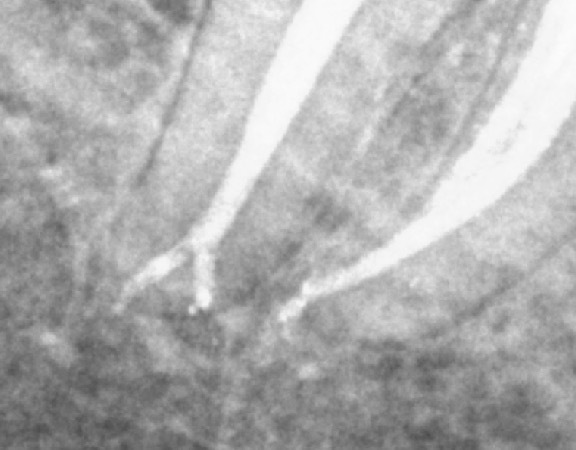 The method for making this determination has ben first described by Schneider and then Jungman et al. 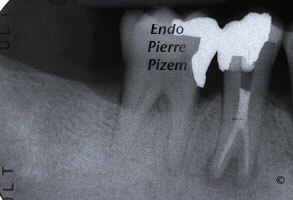 Carl Zeiss Opmi Proergo dental operative microscope was of a big help in locating both mesiovestibular and distovestibular canals entries, I am using the Pro Taper Endodontic files System from Maillefer for preparation of canals as they are doing very nicely in extremely curved canals. Intracanals treatment procedure is a calcium hydroxide as a medicament (Third x ray from left) since there is a lot of intracanal exudation. 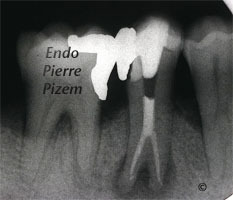 Canal filling method: master gutta-percha cone, lateral condensation for the first wave, warm gutta percha for the second wave. 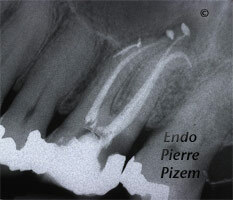 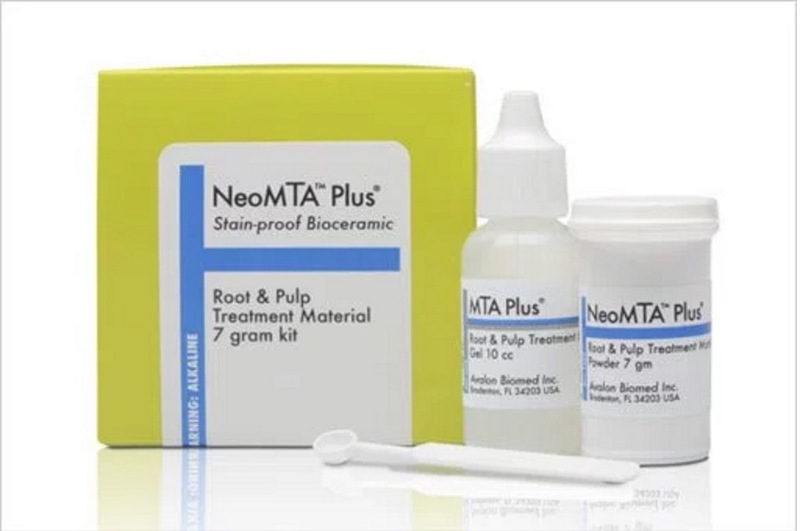 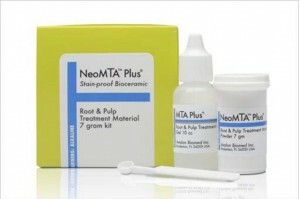 Pulp Canal Sealer as the root canal sealer. 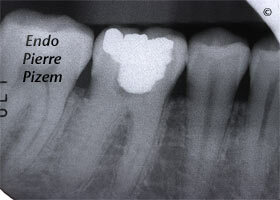 Amalgam filling has been replaced by a composite filling, because patient wanted to wait a bit for his dental insurance to kick back in. 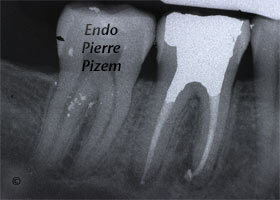 Patients regular dentist will do crowning as soon as possible after that. 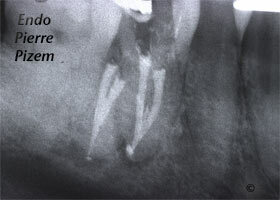 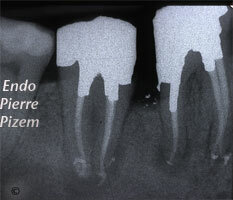 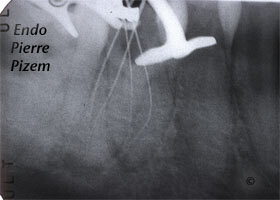 Clinical examination: Sinus tract, mobility: 0, deciduous amalgam restoration. First appointment: gaining access to the split, locating entries, shaping and cleaning apical root canal branches inserting intracanal medication for 8 days. 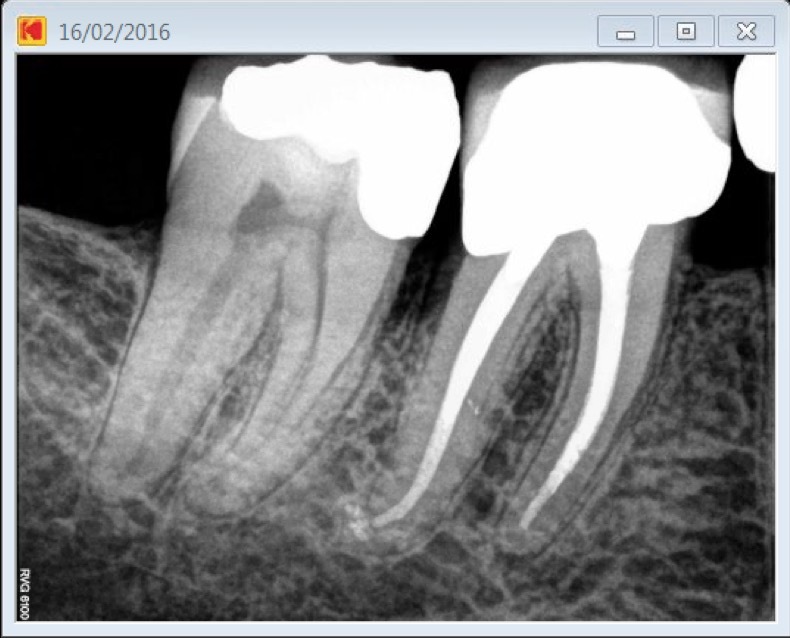 Second appointment: intracanal medication retrieval, copious CHX 2% irrigation, drying canals and permanent root canal obturation with Pulp Canal Sealer and gutta percha (lateral and vertical condensation). 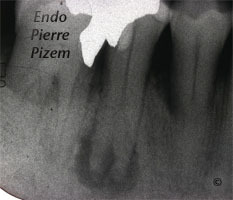 Symptomatic mandibular molar, patient can’t chew on that side. 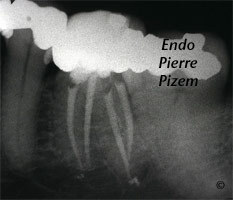 Referred to us for endodontic revision. 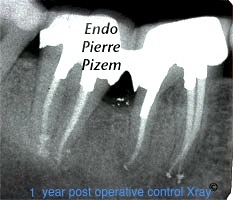 Removal of Ca(OH)2, CHX 2% for one minute, dry canals, cone fit checking and final obturation with Pulp Canal Sealer and Gutta Percha. 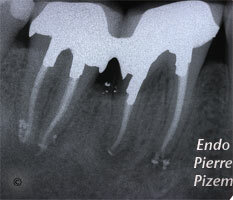 Small sealer overflow is a good warrant of apical seal.